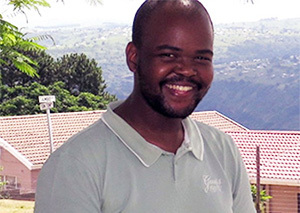 UKZN Architecture student Mr Mongezi Ncube is the regional winner of the 2013 Corobrik Architectural Student of the Year award. Mongezi’s thesis explored urban informality as a generator for meaningful built form through his proposal for a multipurpose trade hub in Warwick Junction. The proposed building is to support informal traders who need a productive space to work from. The central challenge he poses through his design is: Why not have the courage, where practical, to let people shape their own environment? ‘The aim of the design was to provide a built-form where the people have the ability to define its configuration. This was done through consultation with all of the relevant stakeholders because community participation empowers people within a specific context to influence the way they want the built form to be configured,’ said Mongezi. Asked about his family’s response to the award, Ncube said, ‘At times it felt like we were all studying architecture. They would listen to me rambling on about design concepts and theories, and they would try to engage me wherever they could. It was during these “conversations” I came up with my best ideas. Regarding his perceptions of, and aspirations within, the built-environment sector, he added: ‘I think architects have forgotten about the ordinary person on the street. We are so busy trying to outdo each other that we seem to forget who we are designing for. If my career could make an impact in my field, it would be to make architects and urban design professionals remember what are we doing and who we should be doing it for. Ncube hopes to do more community projects and actively participate with community members to make a meaningful contribution to society.